A cave on the remote South Pacific island of Niue. On the remote South Pacific island of Niue, a new kind of weather reporting is taking shape far below the clouds — clues found deep in caves on the island. Paul Aharon, a geologist at the University of Alabama, started coming to do fieldwork on the island, which lies about 1,500 miles (2,400 kilometers) northeast of New Zealand, in 1997 for a completely different project. "I was working on a project examining sediment cores, trying to reconstruct sea level variation over the past 20 million years. 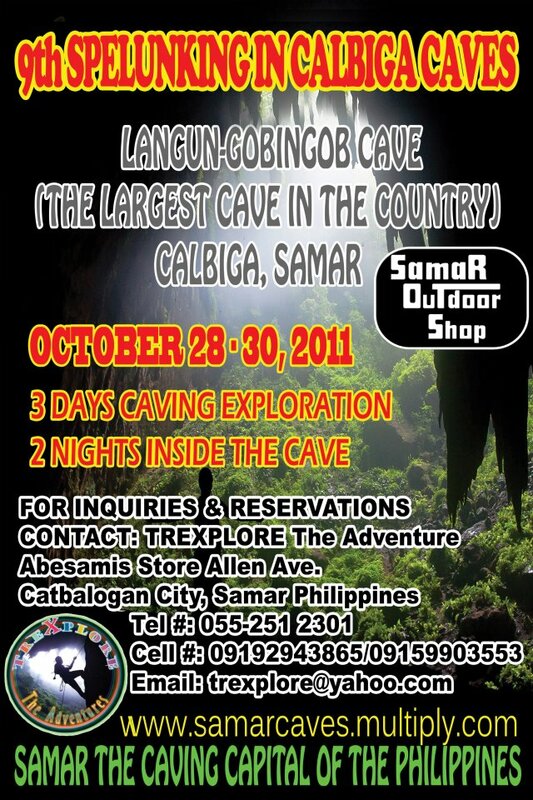 That's when I noticed the caves," Aharon told OurAmazingPlanet. Aharon recognized the potential of stalagmites in the caves to provide clues on Earth's past climate. Stalagmites form slowly over thousands of years, as calcium, carbon and oxygen from water slowly dripping through the soil and rock above the cave builds up into the cone-shaped rocks seen on the cave floor. "They're like a layer cake," Aharon said, "building layers one on top of other." International visitors arriving through Orlando International Airport’s Airside 1 concourse now can get the impression that the “Orlando experience” is something more than theme parks, area beaches and hotels. 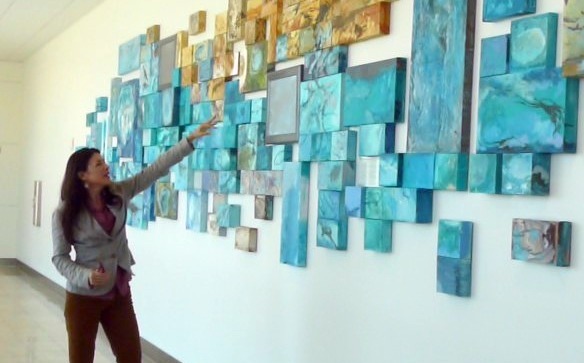 The airport has installed a multiple-work art display in the international arrivals corridors featuring paintings, pictures, poems, maps, and other media depicting the natural springs found throughout Central Florida. Travelers passing through the corridors encounter artworks offering hundreds of images of the springs, the caves that underlie them, and the water, flora and fauna ranging from crayfish and turtles to manatees and gar. The images, maps and poems are drawn from a number of area springs, including Wekiva, Volusia Blue, Silver, Juniper and Silver Glen. The installations also feature work by graphics artist Jarrod Ryhal, who was Tolbert’s principal partner in the project, and others including internationally-famed springs cave photographer Wes Skiles, who died last year. Other contributors include Bill Belleville, Jim Brown, Bill Foote, Eric Hutcheson, Mark Long, Nancy Morris, Tom Morris and Georgia Shemitz. Tolbert said she hopes international travelers introduced to the springs and caves through the art will seek out the experience for themselves, or at least learn more about them. “They need protection, and they really need our attention in that respect,” she said. Video from Cueva Molino with Artur Kozlowski, Arthur Diamond, Simon Cornhill, Juan Corrin and others. Shown at Hidden Earth last weekend as part of Chris Jewell's lecture. The quest for camping food that is simple to make just moved a notch. With its new Chicken Salad product, Mountain House offers campers and backpackers a freeze-dried meal that requires nothing more than cold water and a short wait. Until now, most all freeze-dried food companies recommended hot or boiling water for the reconstitution of “instant” camp food. But with its Chicken Salad product, which costs $6.50 a pack, Mountain House has formulated a mixture that necessitates no heat — add a small dose of cold water to the powdery mix and stir; let it sit for about 10 minutes; presto!, your meal is ready to eat. It is for sale at outdoor stores like REI and on the Mountain House web site. The company uses white chicken meat and a mix of ingredients including cranberries, pumpkin seeds, corn starch, onion bits, vinegar, chives, and sugar. The result is a chicken salad that’s good, though not delicious. When you’re on the move and not wanting to stop and fire up a stove, the Chicken Salad mix is a good alternative. With about 500 calories per pack, the chicken is enough to split between two adults. Breathable ‘Space Blanket’ Bivy — Touted as the first “emergency reflective shelter with breathability,” the SOL Escape Bivvy from Adventure Medical Kits is a lightweight bivy bag made out of a crinkly reflective material (a “vacuum-metalized spun-bonded olefin,” according to the company). The traditional AMK’s “space blanket” bivy sacks are lightweight and body-heat-reflective, though always clammy; water condenses inside the original design. But with this new bag, AMK claims condensation can escape, though the exterior is rain-, snow- and wind-resistant. The SOL Escape Bivvy weighs about 280g and packs up to about the size of a Nalgene bottle. It has a hood and a drawstring opening to seal it shut. The bag will sell for $50 in 2012 when the company ships to stores. After conducting a speleological research on July 16th and 17th 2011, team of cavers made a bivouac in cave system Kita Gaćešina at -300 m of depth. Speleological research similar to many others previously performed in Kita Gaćešina now devolved into a serious situation when the first cavers began their preparation for surfacing at approximately 10:00 hrs. During their usual dressing, sorting of things and putting on the equipment, the cavers noticed that Tomislav did not respond. He began twitching, his jaw stiffened ... the situation was alarming. On Sunday, July 17th at 13:03 hrs Alen Kirin exited the pit and informed Darko Baksić, Head of the Cave-Rescue Commission of the Croatian Mountain Rescue Service that Tomislav G. fell into a hypoglycaemic coma during his sleep at bivouac on -300 m of depth. Currently, there were 12 more cavers in the pit. Some of them began exiting. Ana Baksić, a member of the Croatian Mountain Rescue Service, was present in the bivouac and she took care of the injured Tomislav. At this moment organisation of the rescue operation started. Head of the Croatian Mountain Rescue Service, Vinko Prizmić was informed of the accident. Dinko Novosel received the task of mobilizing Croatian Mountain Rescue Service physicians that can descend to such depths and to mobilize rescuers according to their Mountain Rescue Service stations. Luka Mudronja prepared rescue equipment in Cave-Rescue Commission’s equipment storage. Teo Barisić prepared drawings of Kita Gaćešina and organized a team to set up phone lines in the pit. At the same time another team was organised in order to set up phone lines along with three additional teams to extend the narrow passages. This email to inform you that the EuroSpeleo Projects (ESP) funding rules have evolved in order to adapt gradually the funding grant amount to the project size and to open it to the projects that count only 4 Europan countries (against 5 minimum previously). The projects made with FEALC or Africa-Middle-East countries are still with a minimum of 3 countries. All the changes are summurized in the points 3 and 4 of the ESP request form available here : http://eurospeleo.org/main6/eurospeleo-projects/eurospeleo-projects-funding-application-form-v0-5.rtf The request must be sent to contact@eurospeleo.org at least 4 months before the begining of the project. After that delay, the requests are not valid. We want to take this opportunity to warmly thank the 3 European FSE Official Partners (Beal’s rope, Aventure Verticale’s gear and Scurion’s Lamps) for all the support they bring to each ESP projects all along the year (500m rope, 500 euros gear and 1 Power-lamp over the 400 euros minimum FSE grant). You can visit their websites indicated hereunder. Should you have any further questions on ESP, please let know at contact@eurospeleo.org , The FSE stand will be in Marbella next weekend (23-25 Sept), See you there and good luck for your future EuroSpeleo Projects organisation ! It is an attachment for GoPro’s popular line of waterproof helmet cams that acts as a mini life jacket. Until now, if your GoPro somehow became detached from your surfboard, kayak, water skis, etc., you could expect it to sink. But with this $14.99 add-on your camera will float — a simple but much needed upgrade! From August 1-6, 2011, climbers and alpinists from Team Petzl were introduced to caving in the Gouffre Berger cave, which descends to -1100m. 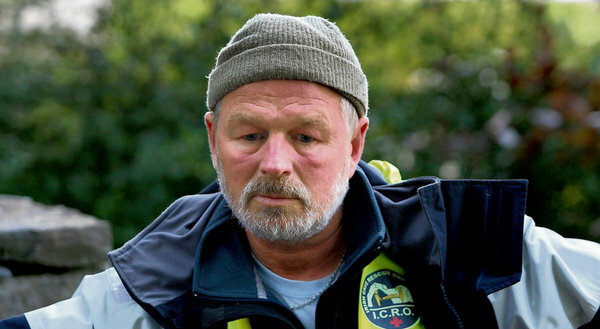 Team Petzl member and organizer of the expedition, François Lombard, tells the story. "Caving has a long history for Petzl. In the 1950s, Fernand Petzl played a very important role in opening numerous caves in the Vercors region of France, designing and producing equipment that enabled him to make these incredible discoveries. In 1955, he was a part of the legendary team that first reached a record breaking -1000 meters at Gouffre Berger. To retrace his steps, Phil Bence, an active caver and member of Team Petzl, along with Florence Guillot and Guillaume Capgras and in collaboration with their club from France's Ariège region, SSAPO Ariège, asked us to organize a "Team Petzl meeting at the Gouffre Berger. Please be aware that there has been major movement in Shannon cave which appears to affect at least 300 m of cave. From the re-birth canal right down to at least the old entrance large rock fall has been noted. It is not known what has caused this movement though it appears it is not flooding related (a number of stal were broken in fossil parts of the cave). Large fractures have also been spotted in parts of the walls. It is advisable that people stay out of Shannon cave until a proper assessment is made. Tom Barr Legacy honored by celebration event called Barraroo hosted by Nashville Grotto and Cumberland Caverns. Tom Barr was a legend in his time and September 2011 would have celebrated 80 years of an astonishing life as a renowned cave biologist, university professor, and a gifted scientist. To celebrate his life Nashville Grotto is hosting Barraroo at Cumberland Caverns on September 17, 2011. Barraroo, named after Tom Barr to include some of Mr. Barr’s humor, will begin at 4:00 in the gift shop at Cumberland Caverns. 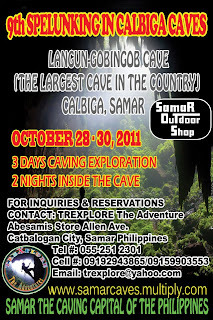 Attendee’s will be lead down to the cave entrance at 4:30 and food will be served at 5:00. A fun night filled with guest speakers who knew Tom personally, live music to honor Mr. Barr’s love for the mandolin and violin and the evening will end with a DVD capturing moments of his life and his book Caves of Tennessee. You can find more information about Barraroo at: http://www.barraroo.com, http://www.nashvillegrotto.org or http://www.cumberlandcaverns.com. Tickets are $25.00 which will include, live music, display’s of Tom Barr’s artifacts from his work and life, meal, presentation with speakers and DVD movie about Tom Barr and his book Caves of Tennessee. Copies of the DVD and t-shirts will be available to purchase the night of the event. Barrarroo event can be found at Cumberland Caverns, September 17, 2011 starting at 4:00; tickets are available by calling Cumberland Caverns at: 931-668-4396 or online at: http://www.barraroo.com Tickets to include meal on sale until September 12, 2011, tickets without meal available up until September 16, 2011. 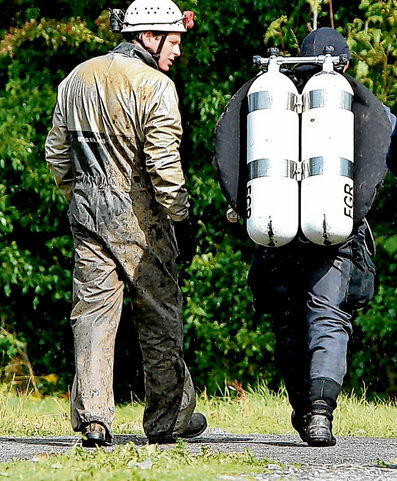 Six days after Polish cave diver Artur Kozlowski was reported missing in a south Galway cave, a British rescue team brought his body to the surface at the weekend. The highly risky and challenging operation concluded just before 5pm on Saturday, when the rescue team led by Coventry firefighter Rick Stanton and John Volanthen completed the last of a series of recovery dives at Pollonora in Kiltartan. Mr Kozlowski’s body was taken for a postmortem yesterday at University Hospital Galway. 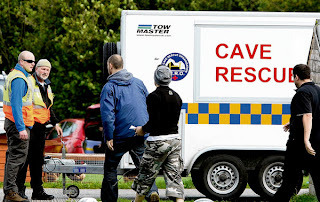 The team of three British experts, working with the Irish Cave Rescue Organisation and the Garda, had estimated last Friday that the slow and painstaking recovery could take several more days due to siltation in the cave system. At that stage, Mr Kozlowski’s body had been taken halfway through the 800m (2,600ft) cavern. The call of 19th-century hucksters beckoning to tourists still echoes in these hills where Howe Caverns and Secret Caverns yawn below green pastures. But despite the trail of billboards and some hokey trappings, the caverns are natural wonders. Although not physically connected, they lie within a mile of each other in this pastoral region 44 miles west of Albany. Both have extraordinary water features. And both were discovered by cows. This is no coincidence. In the humid summers of central New York, dairy cows, long the economic mainstay of the region, naturally roam their pastures seeking relief from the heat. Caves, insulated by layers of soil and rock, maintain a constant, year-round temperature - in this case, between 52 and 60 degrees. Sooner or later, farmers were bound to notice cows huddled around outcrops of ledge on hot days, because the ledges were exhaling chilly air. This exhibition represents the culmination of a six-year project that began in 2004 at the Center for the Art of East Asia at the University of Chicago. 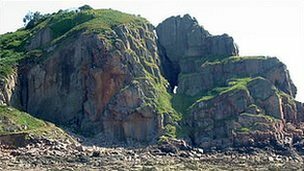 The project’s aim was to research and “reconstruct” Xiangtangshan, a series of six-century Buddhist cave temples hollowed out from the living rock in a mountainous region in northeast China. Although they survive to the present day, the temple interiors were severely damaged in the early twentieth century when large numbers of stone figures and fragments were removed and offered for sale on the international art market. Using advanced technology in conjunction with straightforward research, the team studied the history of these grotto temples and investigated their subsequent despoliation in an effort to reconstruct the original appearance of the caves’ interiors. A focal point of the exhibition is the digital recreation of one of the largest cave temples of Xiangtangshan, by which visitors can better understand the architectural setting in its original context. The results of these efforts form the basis of this exhibition. Xiangtangshan, or the “Mountain of Echoing Halls,” is a Buddhist devotional site created during the brief Northern Qi dynasty (550-577). Carved into the mountains in the southern Hebei province of Northeastern China, Xiangtangshan originally comprised a total of eleven man-made caves divided between two main locations, Bei Xiangtangshan and Nan Xiangtangshan. 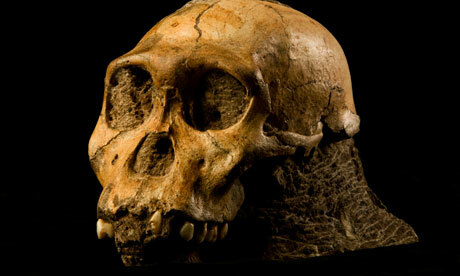 The cranium of the juvenile male Australopithecus sediba. It was a traumatic and lingering death. The adult female and young male probably fell through a fissure in a cave roof and remained alive for days or weeks with little or no food before finally meeting their end. 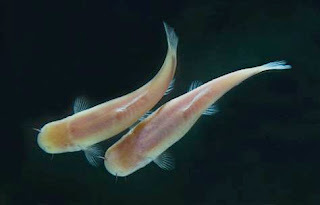 The pair – possibly a mother and her son – were then washed by a rainstorm into an underground pool where they gradually solidified into rock. Their unusual demise nearly 2m years ago, and the preservation of most of their fossilised skeletons, has given scientists a unique glimpse of what kind of creature they were. The researchers who have studied them in detail believe they may be direct ancestors of modern humans. 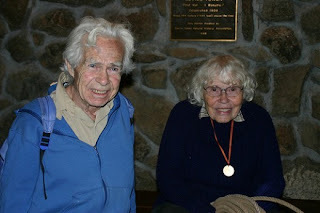 Citing the verbage on one of his favorite spelunker T-shirts, which proclaims, “No end in sight,” pioneering caver and climber Herb Conn said that statement pretty much sums up he and his wife Jan Conn's 22-year history spent immersed in the sport. “And it still is that way,” Herb said. This time, instead of going down in a cave, the duo is going down in history. 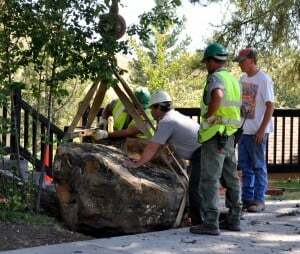 The pioneering spelunkers, from Custer, who in their 22-year caving careers singlehandedly opened up 65 miles of passages in Jewel Cave, paving the way for a total of 155 and counting, will be inducted into the South Dakota Hall of Fame at a special ceremony Saturday evening at the Cedar Shore Resort in Oacom. Their initial discovery has led to the ultimate discovery that Jewel Cave is, in fact, the second longest cave in the world. A diagram shows the newly discovered area at Jeita Grotto. A new room and the tunnel leading to it were discovered underwater in Jeita Grotto, the administration of the tourism site announced in a press release Friday. The entrance of the waterway was first detected in early 2004, and a team of volunteer divers have since been working to unearth the path of the tunnel, under the direction of MAPAS, a German company tasked with rebuilding the cave network after its destruction in the Civil War. The all-Lebanese team, some of whom are professional divers, had to first widen the entrance of the tunnel in order to gain access to the latest room to be discovered at Jeita, one of the top tourist sites in the country. 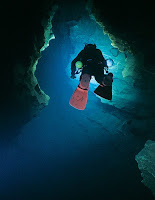 Battling low temperatures and poor visibility, the team, comprised of Joe Khoury, Joseph Sharbine and Habib Haddad, used the latest technology to investigate the new cave room, and ultimately created a 3D map of the waterway, the first time such a task was completed in the Middle East. A British international cave rescue team has begun the slow and very challenging recovery of the body of Polish cave diver Artur Kozlowski (33), who died during a solo expedition in south Galway earlier this week. The team secured Mr Kozlowski’s body yesterday some 850 metres along the Pollonora cave system at a depth of 52 metres below Kiltartan. 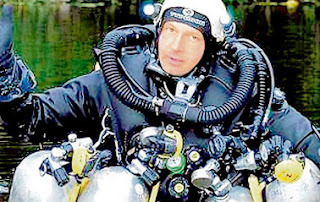 In the first of two dives, the team towed his body 50 metres back along the 850-metre cave route that he had traversed last Monday afternoon. The team was flown in to south Galway in response to an inter-governmental request this week. The saliva of vampire bats, which feed on blood, can save lives of stroke victims, new research shows. The saliva has a compound that can thin blood and dissolve clots in the brain. Currently, most types of strokes need clot-busting shots within four hours of the attack for effective treatment. But a drug derived from proteins in bats' saliva can have the same effect for up to nine hours. Researchers who carried out a previous smaller study said the drug was "the biggest breakthrough" in stroke treatment in two decades.The difference implies that drug Desmoteplase could be administered to stroke victims while asleep. Vampire bats were chosen because they use their spit to keep the blood of their prey thin enough to drink. Doctors at the University Hospital of North Staffordshire are among the firsts in Britain to test the vampire bat saliva.The trial is in its early stages, but if it went well, it could be in widespread use within three years, said consultant Christine Roffe. Stroke units in Newcastle, London, Bournemouth, Glasgow, Liverpool and Exeter are also among more than 40 hospitals taking part in the international research, involving about 400 patients. 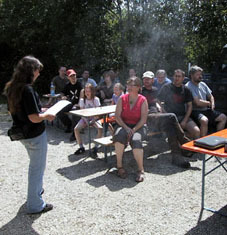 The European Speleological Youth Camp, Juhöföla 2012, will take place in the Schwabian Alps during summer 2012, in co-organisation with the FSE. It is open to all European cavers under 25 years old, with a tolerance up to 29 years old, and it's a very great experience for all the young cavers who had the chance to live the previous editions. If you have questions about the camp, Petra will be happy to answer you at this same address. All information can be found in this pdf or on the Juhöföla website. Hanging upside down whilst only supported by your feet does not sound like everybody's idea of fun, but "Batmanning" is the latest stunt to sweep the internet. The "sport" is inspired by planking, in which people are photographed lying face down in unusual places. A group of young men, calling themselves the Batman Boilers, are now looking to surpass the popularity of planking with this latest activity. Other daredevils are posting their efforts online, with one man playing the Batman theme tune on a guitar while performing the stunt and a whole host of failures, highlighting the potential dangers of the activity. Tributes have been paid to Polish cave diver Artur Kozlowski (34), whose body was found underground during an extensive search in south Galway yesterday. The 22-hour search for the highly experienced cave diver was stood down shortly before 7pm last night, when a colleague located his body some 800m into the Pollonora borehole at a depth of about 52 metres. Mr Kozlowski, who held several records including one for the longest and deepest cave traverse in Ireland and Britain, had been reported missing at 9pm on Monday night when he failed to return from a solo dive in the Kiltartan system north of Gort in the county. The quantity surveyor and cave diving trainer had been continuing his exploration of a new shaft in the karst limestone boreholes. Irish Cave Rescue Organisation warden Conor McGrath said it was too early to speculate on the cause of his death, as he had been found with his gear intact at the extreme end of the cave. 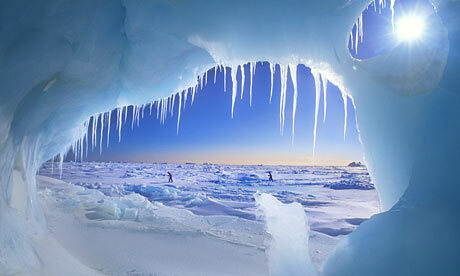 British cave divers had been asked to assist in the recovery of Mr Kozlowski’s body, weather-permitting, if necessary. Mr Kozlowski’s friend and diving colleague Jim Warny had undertaken the first of three attempts over the last 22 hours to locate him, by following a lifeline which Mr Kozlowski had set from the borehole entrance. Mr Kozlowski had deposited “stage” oxygen bottles en route, in case of an emergency and had made arrangements with two colleagues to raise the alarm if he had not returned by 9pm. Two more dives were undertaken yesterday, co-ordinated by the Irish cave rescue group in co-operation with Gort gardaí and it was during the second of these that his body was found. Describing the longest traverse which he undertook with Mr Warny a year ago in south Galway, Mr Kozlowski said that it could often be very difficult to find subterranean routes in visibility of less than half a metre. “We found it was useful to dive during rainy periods so we could use underground rivers to guide us,”he said, explaining that cave divers had to be “totally self-sufficient” due to the difficulties involved in rescue. Irish Farmers Association south Galway official Michael Kelly paid tribute to Mr Kozlowski’s role in assisting and informing flood victims during the heavy rains of 2009-2010. Kiltartan resident David Murray also said that the Polish adventurer, who was “charismatic” and with a passion for his sport, had shared his knowledge of the extensive limestone cave systems with the community. He had stayed regularly with the Nolan family in Kiltartan, and arrived there last weekend to undertake his last dive. There had been hopes earlier yesterday that Mr Kozlowski might have found an air pocket, and would wait it out until supplementary oxygen could be brought to him. “He would have known exactly what to do, as he had several close shaves before – but it was what he lived for,” one close friend said. 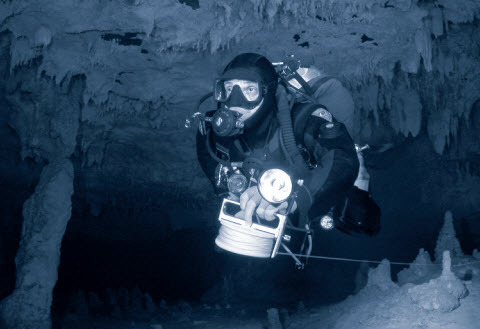 An international team of divers have returned from an expedition to the Pozo Azul cave system in Spain. The group, with cave divers from UK, Spain and The Netherlands were able to pass last years endpoint. During a 15 day campaign they were able to extend the cave for another 500 meter to a total of 9685m of which 9135m has to be done diving, a world record. The furthest point was reached by Jason Mallison along with John Volanthen, Rick Stanford and René Houben during a three day push dive. The group was able to pass the third sump (about 260m from the limit set last year), and followed a streamway for about 180m, before reaching another sump, sump 4. This new passage is nasty terrain: razor sharp rocks, with 27 cascades for a total vertical distance of 10 - 15m to reach Sump 4, wich remains undived due to the fact that they were unable to move all their heavy equipment to here. Pictures of the expedition can be found on the respective facebook page, along with a gallery of all participants. Species of animals, millions of years old, could be wiped out by pollution and development in Croatia, according to a new breed of cave biologists. 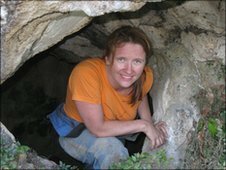 Jana Bedek and her team of bio-speleologists have recently discovered that the underground networks of the Balkans, especially Croatia, have the richest cave fauna in the world. "We are now in the place with the best range of cave animals in the world," she says. "The other countries have their own rich fauna in rainforests, marine ecosystems etc, but here in this area we have cave fauna. Really important at world level." But on a political and economic level, Croatia is emerging from decades of communism, and the devastating Balkan war, with a desire to develop. They are expected to join the EU in two years' time and the government has a queue of road, rail and power projects awaiting approval. Some 41% of the country rests on the massive shard of limestone known as the Karst. One cave known as "Vilina Spila" or Fairy Cave, boasts archaeology alongside its biology. Athenian pottery adorned with the goddess' symbol of an owl can be found amongst broken Roman amphora which litter the floor. It is one of the biggest and most abundant caves in the Balkans, yet it is earmarked for an extraordinary hydro-electric scheme which will store water in the cave itself by sealing much of it with concrete. A new edition of the Brazilian Tourism and Karst Areas magazine, (formerly known as Pesquisas em Turismo e Paisagens Cátsticas) is available online. 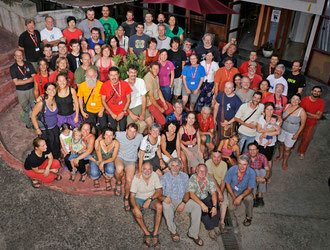 13 nations, for a total of 80 participants, including photographers and assistants. The meeting will be repeated in 2 or 3 years. Sunlight casts a crescent shadow on the floor of an underground cavern in a recently released picture of a Martian "skylight." This round opening likely leads to a lava tube, which is created when lava solidifies on the surface but keeps flowing underground. Eventually the lava drains away, leaving an empty cave. Snapped by NASA's Mars Reconnaissance Orbiter, the picture revealed that the skylight is 115 feet (35 meters) across. The shadow helped scientists calculate that the cave floor is about 65 feet (20 meters) below the surface.